What happens to your body when you get cold? The first thing that can happen is the blood vessels that were helping to moderate temperature at your skin surface instead begin to narrow, which helps to reduce the flow of warm blood near the surface of the skin, reducing heat loss. That’s great, you’re not getting as cold but the narrowing of your blood vessels restricts blood flow and reduces the oxygen availability to the heart. This means your heart is working much harder which is not great when you’re exercising. As you get colder nerve signals will trigger your muscles to shiver. Shivering can cause extreme energy consumption in a short space of time (It is reported that shivering alone can burn approximately 100 calories in 15 minutes). When you shiver your body stimulates your fat cells to produce heat through Irisin. This allows both your muscle and fat cells to be engaged in burning calories. So now we’re getting warm but this process is now burning more energy and restricting blood flow to your working muscles and stomach. It is this internal battle for blood flow that can have a big impact on your energy levels and also how you tolerate food and drink. Essentially your stomach is last in the list of vital functions, when it’s cold, top priority is ensuring your vital organs and core temperature are regulated. 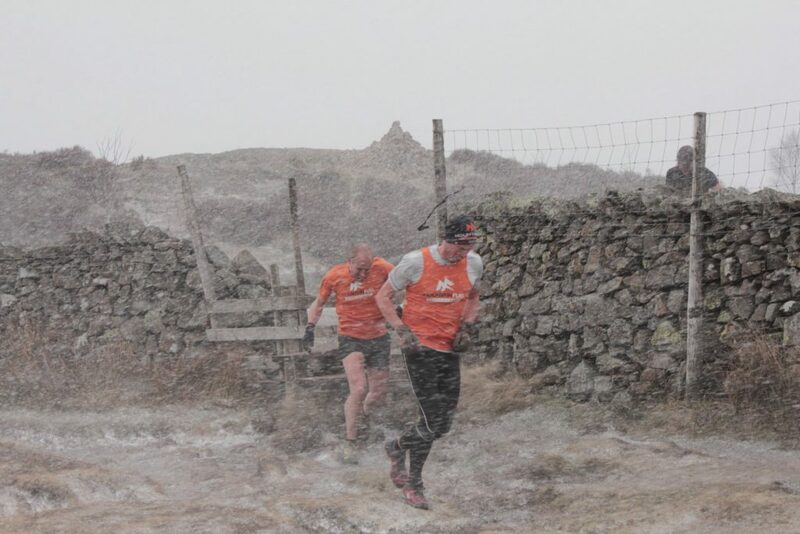 This was again noticeable at this years Lakeland 100 with cold, wet runners entering aid stations, not wanting the offer of hot food or a warm drink, too tired to think straight and change a wet top. This is where good marshals take the bull by the horns and help out vulnerable runners. 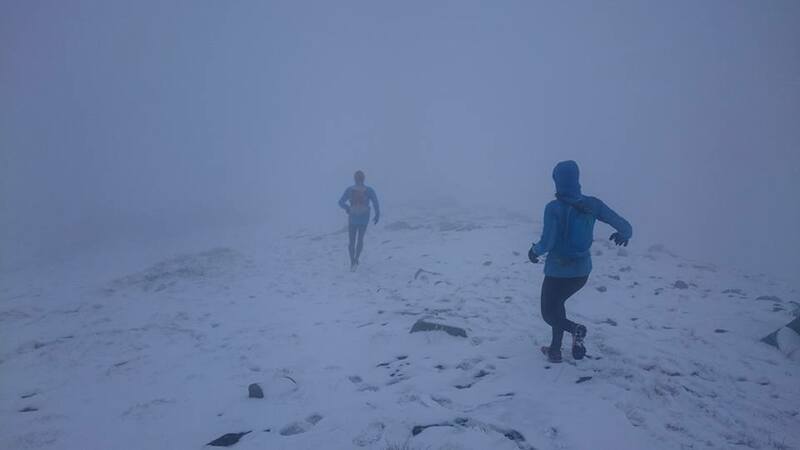 Ideally, you want to have strategies to help avoid situations like this and managing your layering is key (also checking the weather forecast, using mountain forecasts). You need to pack accordingly – a heavier waterproof jacket and an extra lightweight merino top could make the difference between a finish or a DNF. It’s often the ‘wet and or wind’ that affects you the most, a generally cold dry day isn’t normally an issue as you’re moving, working hard but add in a cold wind and everything is amplified. Too many layers and you sweat, your clothing gets wet, the wind picks up and you then get cold. Not enough layers and the wind bites, you get chilled and cold sets in. The basics we follow are keeping your extremities warm and dry with waterproof lightweight mits or gloves and a decent hat or buff, both of which are easy to take on and off as you warm up or get cold. Ultra lightweight waterproof gear is great but in very bad weather not always the most warm or waterproof over a prolonged period of time. If the forecast suggests prolonged wind, rain, sleet etc then switching to a slightly heavier and warmer / waterproof may be more favourable. 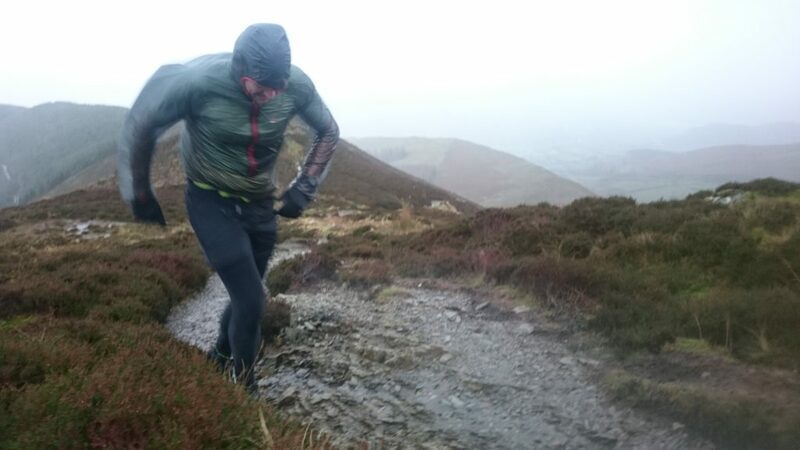 If you do get wet base layers and it’s windy, take the first opportunity you have to get a dry layer on. Also keep up your calorie intake and hydration, on cooler/colder days you won’t always take on board as much so make this an essential part of your strategy and train yourself to fuel and hydrate in training so this just becomes your norm in the race. Carbohydrates provide energy that delivers power to your muscles but also for generating heat. So not really a lot to remember then! If you’re looking for the perfect fuel to power you through all weather conditions, try a Mountain Fuel Trial pack for our full, proven race-day system, including our game changing Sports Jelly.